One morning in July, Billy Brad was six years old and Uncle Peter Henry, who was quite bald and wore big spectacles with real tortoise shell rims and who looked as wise as an owl, gave Billy Brad a big, round, shining, new silver dollar. This made Billy Brad very happy and he thought he would keep the big round dollar in his hand all the rest of his life, or at least until he had enough more dollars to buy a pony and a cart but, that very afternoon, when Uncle Peter Henry came walking up the street he saw Billy Brad sitting on a pile of lumber, looking very sad. The lumber was near the sidewalk, in the front of the lot next to Billy Brad's home, and it had been put there because Mr. Jones, the grocery man, was having a house built. The house had been building for several weeks and Billy Brad loved to watch the men at work on it, sawing boards and driving nails and making long, curly shavings with their planes. He felt specially interested in this new house because it was so near his own house, and because Mr. Jones, the grocery man, was the grocery man who sold groceries to Billy Brad's mother, and Billy Brad knew him quite well. Very often, when Mr. Jones brought the groceries, Billy Brad would say: "Hello. Mr. Jones!" and Mr. Jones would say: "Hello. Billy Brad! How are you this morning?" "Hello, Billy Brad! Why this sadness?" "I lost it," said Billy Brad mournfully, as he clambered off the wood pile. "I lost my big, round dollar. Down that hole. And it's gone. And I can't get it any more. And I didn't want to lose it. Because it was my big, round, birthday dollar, it was." 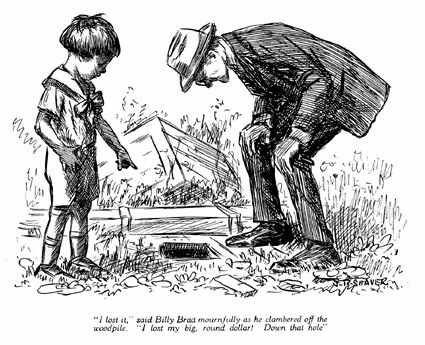 Uncle Peter Henry looked at the hole down which Billy Brad had lost his big, round dollar. "Is that all?" he said cheerfully. "If that is all, there is no reason to look so sad, because I can get the big, round dollar out of that hole easily enough." "Can you?" asked Billy Brad eagerly. "Of course, I can!" said Uncle Peter Henry. "I would not be a very wise old uncle if I could not do that. But, shall I? That is the question. Hadn't we better leave your big, round dollar in that hole, Billy Brad?" "Asking "why" was one of the things Billy Brad did best -- and most often -- and that was one of the reasons why Uncle Peter Henry was such a comfortable uncle to have. He always had an answer. He never said, as Billy Brad's mother often did: "Goodness sake, Billy Brad! Don't be forever saying 'Why? Why? Why?' Run along and play, and don't bother me!" "Do you want to spend the dollar right away?" asked Uncle Peter Henry. "No," said Billy Brad. "I want to save it. Until I get lots of dollars. To buy a pony with." "Then why not leave it in this hole?" asked Uncle Peter Henry. "It is there now, and you know where it is, and you can't spend it. If I get it out for you, you may lose it where you can't find it again, and then it will be lost forever. Why not leave this big, round dollar in this hole and, when you get more dollars, put them in this hole, too." "No!" said Billy Brad. "I don't want to. Because somebody might find my dollars. And take them. And keep them. And I wouldn't have them any more." "That's so!" said Uncle Peter Henry brightly, but in a moment he looked sober again. "But I don't know that it makes much difference. If I get your dollar out of this hole you may lose it again. And if you leave it in your house a burglar might break in and steal it." "I -- I can spend it," said Billy Brad eagerly. "But you don't want to do that," said Uncle Peter Henry. "You want to save it, if you can, until you have enough dollars to buy a pony. If you spend this dollar, and the next dollar you get, and all your dollars as you get them, you'll never have enough to buy a pony. It does look bad. It looks almost hopeless." It did seem almost hopeless, and both Billy Brad and Uncle Peter Henry looked quite sad for a while. Then Uncle Peter Henry cheered up suddenly and slapped his knee as if he had a great idea. "I know!" he said gaily. "The Savings Bank! We will get your dollar out of this hole, and take it down town, and put it in the Savings Bank!" "Because it will be safe there," said Uncle Peter Henry, "and it will not be lost or stolen, and you can leave it there as long as you wish, and put more dollars with it when you get them, and when you have enough dollars you can take them out of the Savings Bank and buy a pony." So Uncle Peter Henry and Billy Brad did that. Uncle Peter Henry got two laths and fished the big, round dollar out of the hole, and took Billy Brad's hand, and they walked down town to the Savings Bank and Billy Brad handed the big, round dollar to the man at a little window. 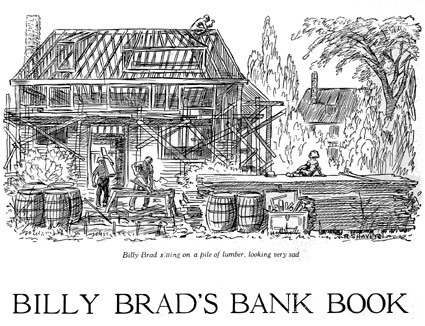 The man wrote Billy Brad's name in a big book and wrote in the book that Billy Brad had given the Savings Bank a dollar to be kept safe and sound. Then he gave Billy Brad a thin little book. On the outside of the book was the name of the bank and Billy Brad's name, and on the first page, inside the book, the man had written Billy Brad's name again and "July 17, 1919......$1.00." "I haven't got my big, round dollar any more. And I wanted my dollar. I did. But my Uncle Peter Henry, he made me give my dollar to a man, he did. And I haven't got anything but a little book. And I can't buy a pony. Because I haven't got my dollar any more." "Uncle Peter Henry, why did I have to buy a little book with my big, round dollar?" "You did not buy the book, Billy Brad," said Uncle Peter Henry. "The Savings Bank gave you the book." "Why did it?" asked Billy Brad instantly. "To show that you had put your dollar in the bank," said Uncle Peter Henry. "The little book says the bank has your dollar and that it will give the dollar back to you when you want it. The book is proof that you put your dollar in the bank." "Why did I put my dollar in the bank?" Billy Brad asked. "So your dollar would not be lost or stolen," said Uncle Peter Henry. "Why won't it be lost or stolen?" asked Billy Brad. "Because that is what the Savings Bank is for." said Uncle Peter Henry. "It is to keep the dollars of little boys, and other people, safe. The Savings Bank has a big, strong room, with steel sides and a steel floor and a steel ceiling, and a steel door with a big strong lock, to keep money in. That is one reason people put their money in the Savings Bank. They know it is safe there." "Uncle Peter Henry," said Billy Brad, after a moment, "how much do I have to pay the Savings Bank for keeping my dollar safe for me?" "You don't have to pay anything," said Uncle Peter Henry. "The Savings Bank pays you for letting it take care of your money." "Yes," said Uncle Peter Henry. "It pays you two cents for every six months you leave your dollar in the bank, or four cents for every year you leave it there. Our Savings Bank pays that." "Why does it?" asked Billy Brad. 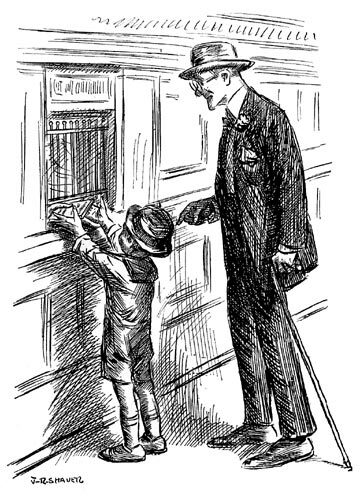 "Why does the bank pay me for letting it keep my money safe, Uncle Peter Henry?" Uncle Peter Henry took off his spectacles with the real tortoise shell rims, and wiped them carefully, and put them on again. He coughed gently. Then he took off his hat and wiped the bald part of his head with his white handkerchief, and put the handkerchief back in his pocket and his hat on his head again, because he certainly had to have time to think what to say to Billy Brad. 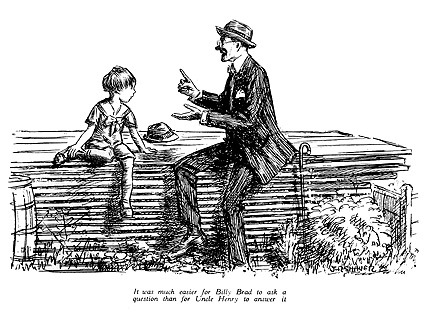 Sometimes it was much easier for Billy Brad to ask a question than for Uncle Peter Henry to answer it. This was one of the times. Uncle Peter Henry thought for a minute and then he asked Billy Brad a question. "Do you see this house Mr. Jones is building?" he asked. "Yes," said Billy Brad, and then he repeated: "Why does the bank pay me for letting it keep my money safe, Uncle Peter Henry?" "You wait and I'll tell you," said Uncle Peter Henry. "I'm coming to that. But, first, why do you suppose Mr. Jones is building this new house?" "To live in," said Billy Brad promptly. "But he is living in a house now, isn't he?" asked Uncle Peter Henry. "He does not need two houses to live in, does he?" "He's going to live in this house," said Billy Brad. "He isn't going to live in the other house any more. Because it isn't really, truly his house. It is Mr. Martin's house." "Oh! Mr. Jones just rents it from Mr. Martin?" "And has to pay Mr. Martin rent money every month," said Uncle Peter Henry. "I see! Mr. Jones thinks it will be cheaper and pleasanter to own a house of his own, than to pay rent to Mr. Martin. So Mr. Jones is building this house." "Yes," agreed Billy Brad. "I guess so." "But it must cost Mr. Jones a great deal of money to build this new house," Uncle Peter Henry suggested. "he has to pay for the lumber and the bricks and the shingles, and he has to pay the men who dug the cellar, and the carpenters and the masons. He has to pay for everything, and he has to pay quickly. What if Mr. Jones wanted to build this house and did not have enough money to pay for it?" "He could sell my mamma some more groceries," said Billy Brad. "Yes," said Uncle Peter Henry, "but it might be three years, or six years, or nine years, before he sold enough groceries to have enough money to pay for the new house. And he would have to wait. And all those years he would be paying rent to Mr. Martin, and be living in a house he did not want to live in. So what do you think Mr. Jones would do?" "What would he do?" asked Billy Brad. "He would get all the money he needed, right away quick," said Uncle Peter Henry, "so he could build his new house without waiting." "How would he get all the money quick?" asked Billy Brad. "Well, one way he could get one dollar," said Uncle Peter Henry, "would be to know you were going to have a birthday and that Uncle Peter Henry was going to give you a big, round dollar. If he knew that, he could come to you and ask you to let him borrow your dollar until you needed it to buy a pony. Then, if he knew hundreds and hundreds of other Billy Brads whose Uncle Peter Henrys were going to give them dollars on their birthdays, he could go to them and ask them to lend him their birthday dollars." "My!" exclaimed Billy Brad. "He'd have to know lots of boys' birthdays!" "Yes," agreed Uncle Peter Henry. "And then he could try to find all the people who had money they had saved, and he could try to borrow some from them. He would have to see hundreds of people. But that is not the way Mr. Jones would get the money he needed to build his house." "Isn't it?" asked Billy Brad. "Why wouldn't he get it that way, Uncle Peter Henry?" "Because it would take all his time, and even then he might not get it. If he came to you now, and asked to borrow your dollar, he would not get it, would he?" "No," said Billy Brad. "I haven't got my dollar. I put my dollar in the Savings Bank." "Just so!" said Uncle Peter Henry. "And so the wisest plan would be for Mr. Jones to go where a great deal of money is gathered together in one place. Such as the Savings Bank, where you put your dollar for safe keeping, and hundreds of other people put their dollars for safe keeping. And that is just where Mr. Jones would go. He would go to the bank and say: 'I want to build a house. I don't want to live in a rented house any more. I have to pay ten cents a year for every dollar's worth of house I live in, and I would rather rent some money from this bank and build a house of my own, if you don't charge too much for renting money.'" "Does the bank rent money?" asked Billy Brad, laughing at the idea. "It lends money, and charges interest for lending it," said Uncle Peter Henry, "and that is the same as renting it. So the Savings Bank would say to Mr. Jones: 'We have plenty of money to rent, Mr. Jones, and we only charge six cents a year for each dollar we rent out." Then Mr. Jones would say: 'That is cheap enough, I'll rent enough to finish building my house, if you please. How do you happen to have so much money?' Then the bank would say: 'The reason we have so much money is because Billy Brad and other people bring it to us to be kept safe for them until they need it.'" "But -- but --", said Billy Brad anxiously, "but will the Savings Bank let Mr. Jones have my big, round dollar, Uncle Peter Henry? Maybe Mr. Jones won't give it back when I want it." "That is just what the Savings Bank is careful about," said Uncle Peter Henry. "'If we rent you this money we must be sure it is paid back,' the Savings Bank says to Mr. Jones. 'You must pay it back surely, or give us the house you are building, so we can sell it and have money to pay back to Billy Brad and all the others who gave us their dollars to be kept safe.' So Mr. Jones writes a paper promising to give back the money or give the new house to the Savings Bank. And that makes it all safe and sure. And so, of course, the Savings Bank can pay you four cents a year for each year you leave your dollar in its care?" "Why can it?" asked Billy Brad. "Because it rents your dollar to Mr. Jones for six cents a year, in a perfectly safe way," explained Uncle Peter Henry. "When Mr. Jones pays the six cents, the Savings Bank gives you four of the cents, and uses the other two cents to pay the men who work in the Savings Bank, and to pay for the electric lights in the bank, and for sweeping the floor --"
"And washing the windows?" said Billy Brad. "Yes, and for all the expenses of running the bank," said Uncle Peter Henry. "And you can always be sure of getting your dollar when you want it, because the Savings Bank always keeps some money in its big steel room, and there is always some Mr. Jones paying back the money he has rented, and always a great many Billy Brads leaving more money with the Savings Bank to be kept safe. So that is the Savings Bank system. The Savings Bank helps you because it keeps your money safe when you have no need to spend it, and it helps others because it can rent them money when they do need it. Do you understand now, Billy Brad?" 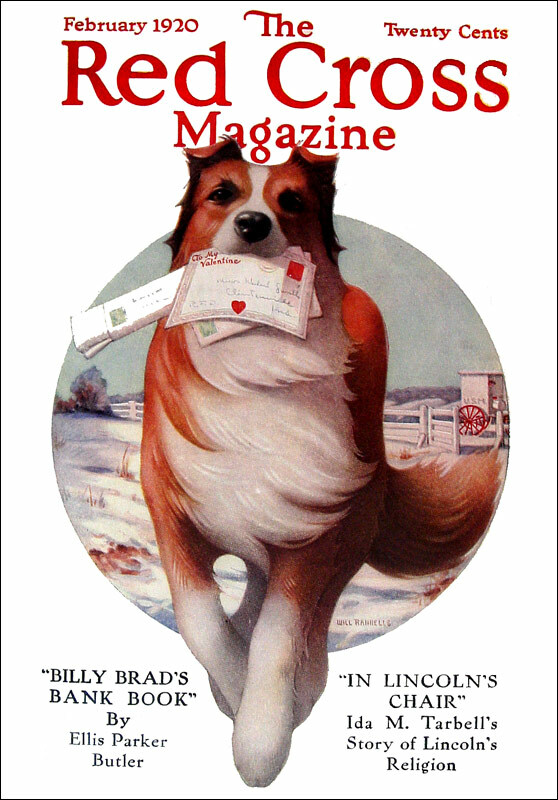 "Yes," said Billy Brad, but he immediately asked: "Why does the Savings Bank pay me for keeping my money safe. Uncle Peter Henry?" "That bothers you, doesn't it, Billy Brad?" said Uncle Peter Henry. "Yes, said Billy Brad. "Why does the Savings Bank pay me, Uncle Peter Henry? Why don't I pay the Savings Bank?" "Because," said Uncle Peter Henry, "the men who made the first Savings Bank, over a hundred years ago, were more interested in teaching people to save their spare money than in anything else. They said: 'Big sums of money can be rented out by the people who have big sums of money, but the people who have only one dollar or only a few dollars cannot rent out their money. That is one reason they spend it. If they could rent it out, so that it would be earning something, they would think it more worthwhile to save it. So let us start a new kind of bank that will pay people rent (or interest) even on very small sums of money.' So they did. They started a Savings Bank. And they could well afford to pay a few cents a year for each dollar that was put in the Savings Bank, because the Savings Bank could rent out the money, when it was gathered together, for a few cents more for each dollar. People were glad to rent it from the Savings Bank." "Because the rent the Savings Bank charged for the money was so small. And, after that, the Savings Bank had to keep on paying for the money that was left with it for safe keeping, because unless it did pay, not very many people would care to save their money. They would spend it. But when they knew they would be paid for saving it, they saved it. 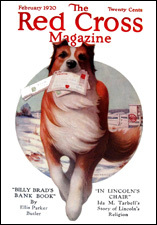 So now, Billy Brad," said Uncle Peter Henry, "you know why you put your big, round dollar in the Savings Bank." "Do I?" said Billy Brad. "Why did I, Uncle Peter Henry?" "Billy Brad! "exclaimed Uncle Peter Henry, almost crossly. "I have just told you why. I have explained all about Savings Banks, and interest on deposits, and loans to borrowers, and interest on loans, and how accumulated small deposits can be loaned in large sums, and all about everything. You know perfectly well why you put your big, round dollar in the Savings Bank. Don't you?" "Yes," said Billy Brad. "I know all that, but, but --"
"Well, but what? Come on boy," said Uncle Peter Henry. "Why did you go to the Savings Bank?" "Because -- because --" said Billy Brad, wise beyond his generation in guile, snuggling up to Uncle Peter Henry, "because I wanted to walk down town with my Uncle Peter Henry, I did."